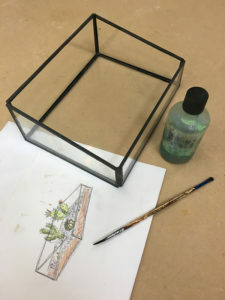 A day-course making your own terrarium using traditional copper-foiling techniques at Rainbow Glass Studios. 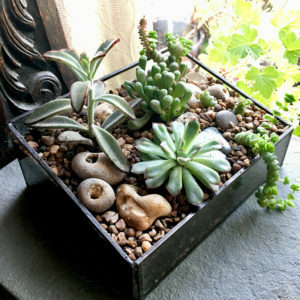 Cost: £140.00 including materials, up to three small cacti / succulent plants. Plenteous tea, coffee and biscuits is also provided. An exciting new day course, making your own terrarium in which to grow cacti or succulent plants, ideal for anyone with green-fingered aspirations for tiny garden landscapes! 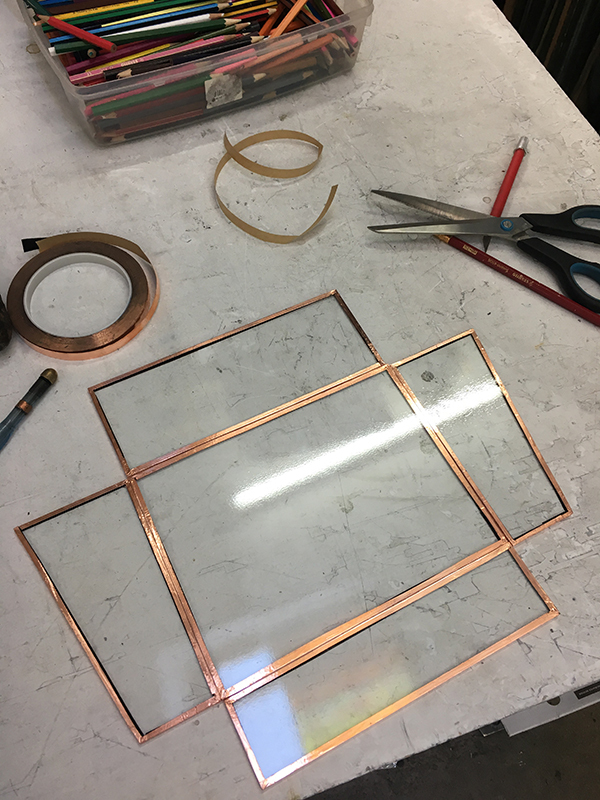 We will learn to cut and copper-foil glass, building this into a 3D shape, soldering it, adding patina and populating it with small cacti or succulent plants. What will I make by the end of the day? A hand-built copper foiled terrarium planted up with a choice of small cacti or succulents. Lunch: You are welcome to frequent one of the many lovely cafes on Church Street, or alternatively please bring your own packed lunch. Who can come to the course? Is any previous experience needed? This course is for adults over the age of 16 only due to the use of very hot soldering irons in making copper-foiled glass. No previous experience is needed as you will be taught step by step covering each process involved. 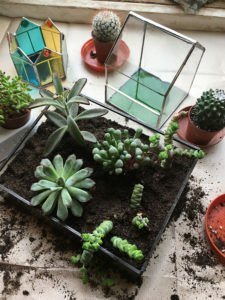 How could I progress my skills after this course? You could try making more complex shaped terrariums, or learn to make fused glass to incorporate into them. 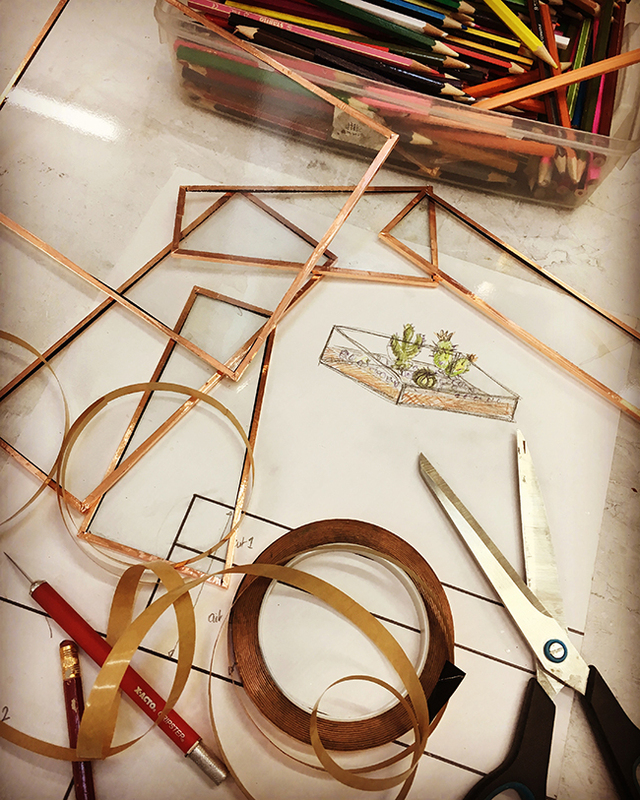 Or you could explore making 2D or 3D shapes using traditional copper foiling techniques such as Tiffany style lamps, mirrors, candle holders or terrarium gardens to hang on the wall.